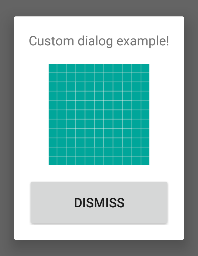 This tutorial shows how to create a dialog with custom view in Android. 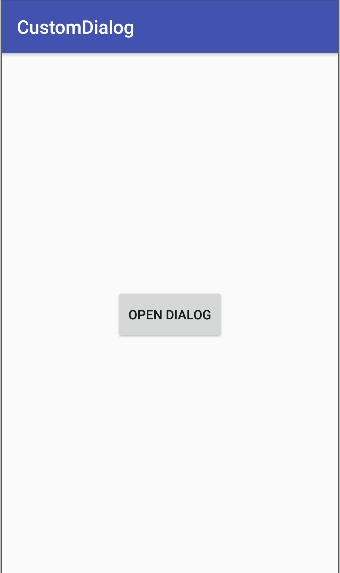 As you know, you can create dialogs and set its title, button actions and message with Android‘s Dialog library. In this tutorial, we’ll create a custom view and set it as view of our dialog. Add a button to your page to trigger the opening action for dialog. Now, define it and its click listener in your Activity or Fragment or wherever you need to open the dialog. Create a function named openDialog(). We will handle the dialog operations in it. Create a custom layout that belongs to your dialog. For instance, add a TextView, an ImageView and a Button. Go to openDialog() function and start to create the custom dialog. That’s it. Now the dialog appears when you click the button labeled “Open Dialog” and disappears when you click on “Dismiss” button. It is possible to edit all views and add new views to your dialog.